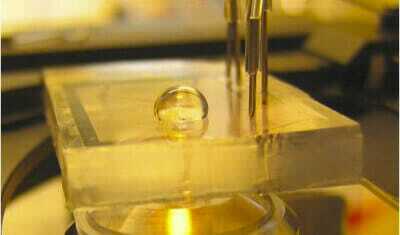 The ultimate goal in microfluidics is to achieve the so-called laboratory-on-a-chip, i.e. 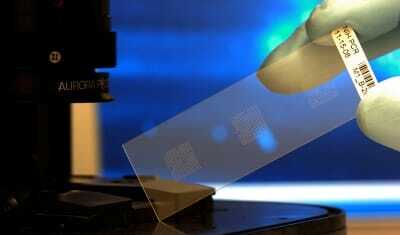 integrate all those activities which are usually performed in a laboratory within a single microfluidic chip. In the last years, huge steps towards this direction have been made: microfluidic devices are used indeed in a handful of applications, ranging from physics to biomedicine. Moreover, the implantation of several functions in a single chip not only gives obvious advantages over portability and costs, but miniaturization also allows to study biochemical phenomena down to cellular scale. 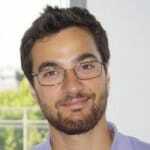 Need advice to do microfluidic Ph control? These features catalyzed a lot of interests from researchers towards the application of microfluidics in cell culture related investigations. Indeed, using a microfluidic chip allows both to grow the sample and perform the desired observations within the same platform. Cell culture in microfluidics, however, does not come without challenges. 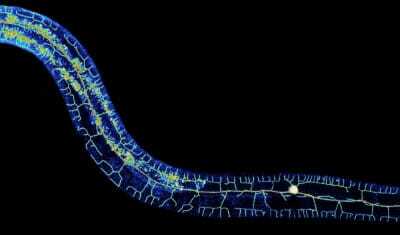 In fact, one of the most important issue in this field regards the fact that cells are avulsed from the outside world by the microfluidic chip, preventing direct monitoring of their microenvironment. In this regard, one of the most significant parameter to probe inside culture chambers is pH. 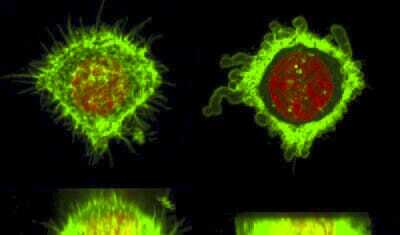 Indeed, cells can influence their surroundings, e.g. producing carbon dioxide and/or lactate during respiration which acidify the microenvironment of the culture chamber. The effects of these natural processes are made much more important due to the extremely low (~µL) amount of liquids contained in a typical microfluidic culture chamber. Thereby, being able to dynamically measure and even control pH level inside a microfluidic device is a crucial topic within microfluidics applications. 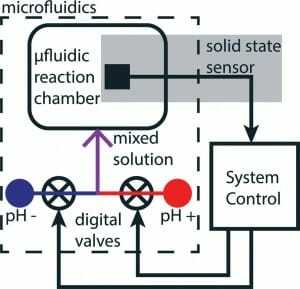 In the following section, few methods to achieve pH monitoring in microfluidics device will be briefly presented; in addition, in the supplementary notes, the basic principles of solid-state sensor for pH measurements integrated in microfluidic devices are described. The majority of cell culture media currently available contains simple pH indicator, such as phenol red. 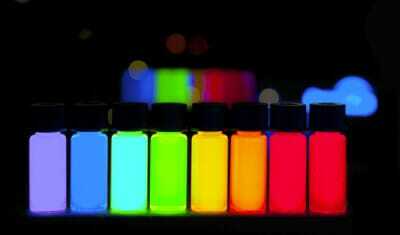 The molecules of these compounds are characterized by the fact that they are able to change color depending on the pH level of the surrounding environment. Thereby, this feature allows a simple, yet rough, monitoring of medium pH. However, in order to be able to perform quantitative measurements by the means of this method, it is needed to have a rather long path for light to be absorbed which, of course, is not the case for microfluidic devices. Magnusson et al. (2013) developed a technique which enables to overcome this issue implementing a non-absorbing part in the imaging area and thus allowing to perform quantitative and precise pH measurements. A prerequisite of this technique is the need to perform an intense calibration of the light source prior to any measurements with a non-absorbing liquid. The main advantage of this techniques lies on the fact that it only requires standard equipment, such as transmitted-light microscopes and a digital camera with a CCD sensor, which can be found in the majority of biomedical research laboratories. In the following section are presented the basics theoretical principles underlying this technique. 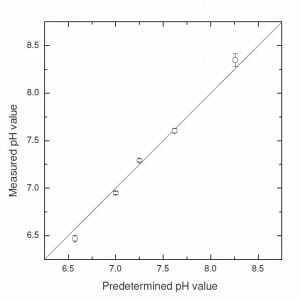 It is important to note that pH values also depend on other factors, such as temperature and the particular cell culture medium employed. 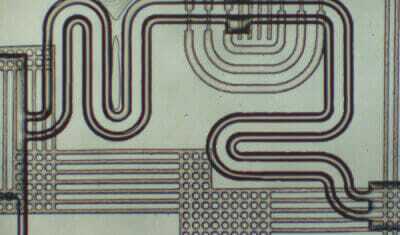 The device employed is a PDMS microfluidic chip with 12 culture chambers and built-in valves for rinse and medium supply, whose design was developed by Gomez-Sjober et al. (2007). In order to capture pictures at different wavelength, some commercially available bandpass filters (centered at 430 nm and 560 nm to match phenol red absorption peak) with 10 nm width were used. The system is automated and can be operated via Matlab software. In Figure 2 are presented some results which show the reliability and reproducibility of pH measurements performed with this technique. The main source of bias in measurements was attributed to fluctuation between chambers due to not perfect rinse, incomplete flushing and chemical traces. Furthermore, PDMS uptake of phenol molecules caused a continuous deviation over time which can be addressed introducing a time-dependent bias in the pH measurements. 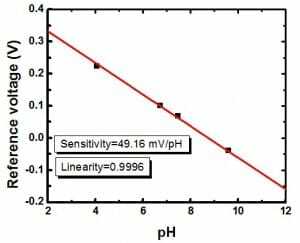 In conclusion, this method provides reliable and precise (max sensitivity < 0.005 for pH ≈7÷8) pH measurements by the means of a simple set-up using standard life-science equipment. Furthermore, it exploits small volumes of medium, of the order of nL, thus reducing expensive compared to conventional pH control methods. The main shortcomings are the unexpected bias on pH values due to not perfect rinse of the chambers and absorption medium uptake by the microfluidic device. Lin et al. 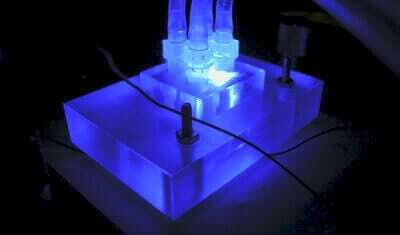 (2013) developed a microfluidic device capable of both pH and glucose level monitoring. In Figure 3 it is possible to admire a schematic that shows the various layers of which the chip is made of. Starting from the bottom, there is an electrolyte-insulator-semiconductor (EIS) sensor bonded to a glass substrate with a built-in aluminum electrode in order to conduct the sensing signal from the bottom of the EIS sensor. Then, two PDMS layers are deputized to the fluidic handling of the sample. In particular, one layer hosts the microfluidic channels whereas the other PDMS layer is built-in with six pneumatic pumps for flow regulation and sample loading. Is important to underline that these pumps operate as valves as well: indeed, an automated compressed-air flow which deflects the PDMS layer onto the channels, thereby regulating or blocking the flow of the sample beneath. Finally, on the top of the device an Ag/AgCl thin-film reference electrode is present on a glass substrate to provide a reference potential for pH measurements. where Eref is the reference electrode potential, Χsol is the surface dipole potential of the solution, Φsiis the silicon work function, q is the elementary charge, Qss is the surface state density per unit area at the silicon surface, Qox is the fixed oxide charge per unit area, Cox is the gate insulator capacitance per unit area, and Ψ is the surface potential. In the previous expression, the only free parameter is the surface potential, thus the variation of the flat band potential of the EIS sensor is determined exclusively by changes in the surface potential, and thereby by changes in the surrounding environment pH level. To verify the performance of the system, four solutions with a known pH (4.03, 6.70, 7.40 and 9.57) have been injected inside the chamber. Figure 4 resumes the results obtained by Lin et al. (2013). The high linearity achieved (0.9996) indicates an efficient rinse of the chamber between the loading of different samples, moreover the system was able to operate using very small amount of reagent (~102 µL). Furthermore, all measurements were carried out automatically, thus avoiding any issue related to contamination due to manual handling. In this paragraph is presented another microfluidic device capable of pH monitoring. This device, developed by Welch and Christen (2014) exploit a PDMS chip where fluids are managed plus an ion-selective-field effect-transistor (ISFET) for pH measurements. The key feature of this device is that not only it is capable of pH probing but it can also adjust the level automatically. Indeed, in the PDMS chip (Figure 5) two reservoirs with basic (pH +) and acid (pH -) solutions are stored. The output of these chambers are controlled by two valves which regulate the out-coming flow and hence the subsequent mixing, allowing to have active control over the pH of the mixed solution exposed to the ISFET sensor. The device, as been said, is made out of PDMS via conventional soft lithography techniques. 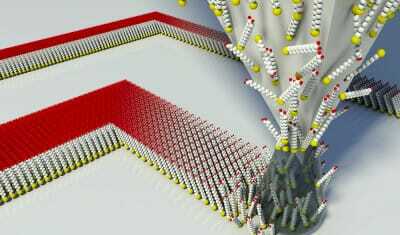 The polymeric structure lies upon a silicon substrate which form the base of the microchannels. These, supply the reaction chamber, where the pH sensor is located, with an acid and a basic solution that mix at the junction of the two microchannels, just before the chamber. A third valve-less input channel is present to supply standard pH buffers for sensor calibration purposes. The same silicon substrate sustains the ISFET which is made out of two electrodes: one for reference and one for sensing. A software controls the valves basing upon the readouts of the sensor; a proportional-derivate (PD) feedback control algorithm is used in order to calculate an output signal to manage the pH level. This system has been proven to control in real-time the pH level of the solution in the reaction chamber inside the chip. This was achieved by feed-back controlled stepping of 0.14 pH in both increasing and decreasing direction. Finally, the system is able to stably reach the pH setpoint within 20 seconds from the initial input of the operator. A category of materials that is growing on importance in the field of biomedicine applications are hydrogels. Hydrogel is the name which indicate a matrix of polymers capable of trapping water molecules between the spaces of its polymeric chains. This feature gives them the possibility to change their morphology without any external power supply. Furthermore, such materials are highly biocompatible and durable, and hence their application in file-sciences is highly advantageous. In particular, the afore-mentioned capability of shape and size change triggered by variations in environmental parameters, can make them a material of election when aiming to pH control. Atwe et al. (2014) exploited this feature to design a microfluidic device which uses hydrogels as a micro-valve to control flows based on their pH. A pH-sensitive hydrogel has acid or basic groups which ionization can be triggered by letting flow through them a medium of a particular pH. Such ionization leads to a flow of counter ions from surrounding regions into the gel which results, eventually, in a flow of water molecules to equalize the osmotic pressure between the two sides of the gel’s boundary. Thus, in order to sustain this pressure gradient, the hydrogel expands accordingly to pH changes. This pH-dependent expansion of hydrogel is the basic principle to create a micro-valve in a microfluidic channel. Indeed, in Atwe’s device, slices of hydrogels have been packaged in the network of microchannels inside a PDMS chip so that the flow path could autonomously narrow or expand itself basing on the pH of the flowing medium allowing thus a pH dependent flow regulation. Figure 6 shows a schematic of the process: the medium pH causes the hydriogel to contract and thus reducing the diameter of the channel from Db to Da (Db < Da). Figure 7 shows the variation of the pores’ size due to ions uptake at various pH values. It has been found that the maximum variation occurs at pH = 3, where pores pass from an average diameter of 20 microns to an average diameter of 3 micron. Thus, it can be inferred that the pump max efficiency occurs when the flowing medium is at pH=3. The modern conception of pH is due to Lavoisier and Arrhenius, who studied this chemical propriety on a more scientific basis in the 18th century. Indeed, before them the classification between “acid” and “base” was deputed to observable or sensed proprieties such as taste. Arrhenius was the first to hypnotize that the pH value was related to the charge carriers in a given substance. In particular, he inferred that hydrogen ions carried the current in acid substances and hydronium ions in basic ones. where all terms are constant except ψo. Thereby, this direct dependency of the ISFET potential from the surface potential, makes ISFETs sensitive to the electrolyte pH. ISFETs are analogue to metal-oxide-semiconductor-field-effect-transistor (MOSFET), they can indeed be schematized by the same equivalent circuit (Figure 9, c). The macro difference between the two is that the metal gate of the MOSFET (Figure 9, a) is replaced by the metal of a reference electrode (Figure 9, b). 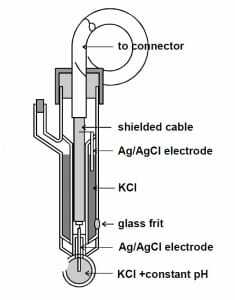 A reference electrode is just a contact between a metal wire and an aqueous solution used to determinate the electrical potential of this solution. In practice, a reference electrode consists, for instance, of a chloridated silver wire (silver with a coating of insoluble silver chloride) in a potassium chloride solution with a constant concentration. 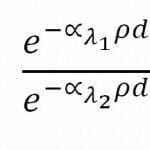 The electrochemical couple thus formed results in a constant potential according to the Nernst equation. The inner solution of a reference electrode makes contact with the solution of which the electrical potential has to be measured by means of a barrier, the so-called frit. Note that for this type of potentiometric sensors it is essential that the sense material (the membrane) be conducting, because the circuit of measurement must be “closed”. In other words, the reference electrode couples in a stable way an electric field, penetrating the oxide, to the “electronic world”. In case the outer surface of the oxide is in equilibrium with a ionic solution in contact with the oxide, the resulting interfacial potential will modulate the electric field and thus a perfect and stable contact is provided between the “ionic world” and the “electronic world”. Furthermore, in the case of ISFETS, the gate voltage is the voltage at the reference electrode, usually zero (grounded reference electrode), but the threshold voltage contains also terms which reflect the interfaces between the liquid and the gate oxide on the one side and the liquid and the reference electrode at the other side. 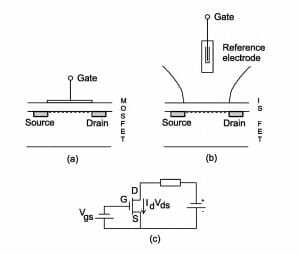 Therefore, designing a pH sensitive ISFET with a maximum sensitivity and selectivity requires a detailed investigation of the oxide-electrolyte interface in order to be able to choose the best oxide, which is not a priori the silicon dioxide as used for MOSFETs. A. Atwe, A. Gupta, R. Kant, M. Das, I. Sharma, S. Bhattacharya. A novel microfluidic switch for pH control using Chitosan based hydrogels. Microsystem Technologies (2014), 20:1373-1381. L. Florea, C. Fay, E. Lahiff, T. Phenal, N.E. O’Connor, B. Corcoran, D. Diamond, F. Benito-Lopez.Dynamic pH mapping in microfluidic devices by integrating adaptive coatings based on polyaniline with colorimetric imaging techniques. Lab on a chip (2013), 13:1079-85. P. Bergveld. 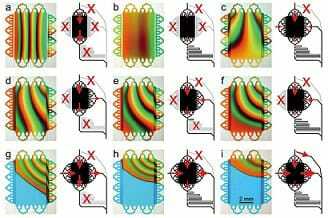 ISFET, theory and practice. IEEE sensor conference Toronto (2003), avalaible at . Y.-H. Lin, A. Das, M.-H. Wu, T.-M. Pan, C.-S. Lai. Microfluidic chip integrated with an electrolyte-insulator-semiconductor sensor for pH and glucose level measurement. Int. J. Electrochem. Sci. (2013), 8:5886-5901. E. B. Magnusson, S. Halldorsson, R.M.T. Fleming, K. Leosson. 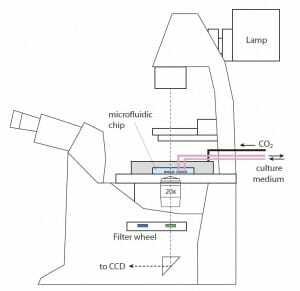 Real-time optical pH measurement in a standard microfluidic cell culture system. Biomedical optics express (2013), 4:1749-58. A. Persat, R. Chambers. 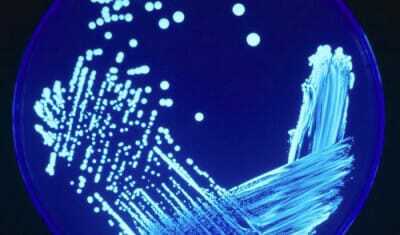 Basic principles of electrolyte chemistry for microfluidic electrokinetics (Part I). LAb on a chip (2009), 9:2437-53. D. Welch, J. Christen. Real-time feedback control of pH within microfluidics using integrated sensing and actuation. Lab on a chip (2014), 14:1191-7. As well as the articles cited in them.